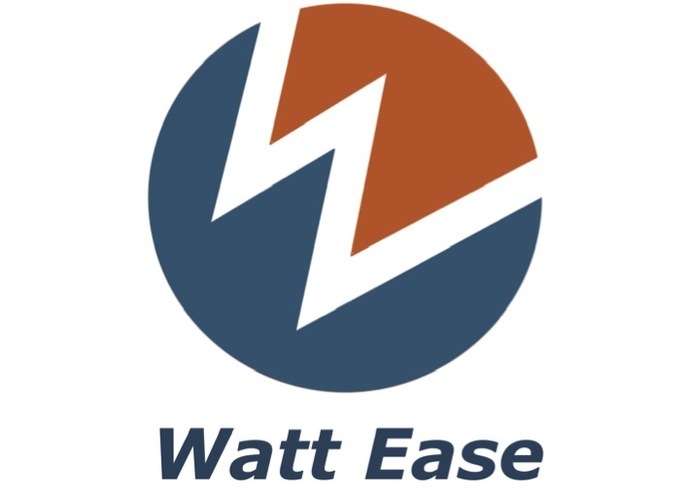 Watt Ease is a new real-time analytics and insights service for Small and Medium Business and Residential customers of utilities. 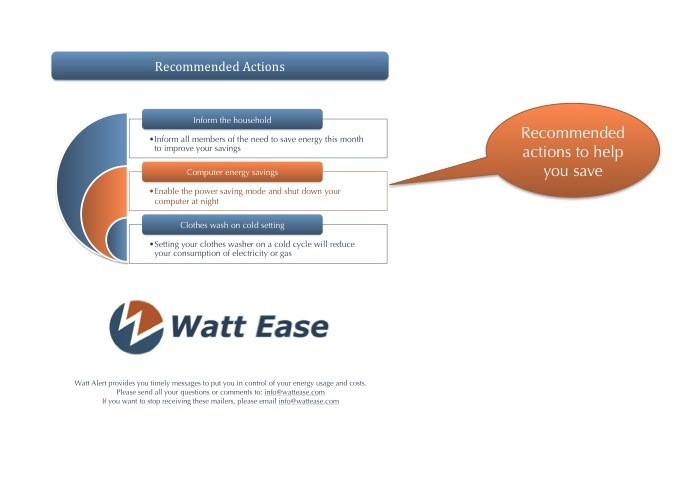 Watt Ease makes the SMB segment more accessible than ever by providing actionable information to the customer when they want it, leveraging the Smart Meter data gathered by utilities. 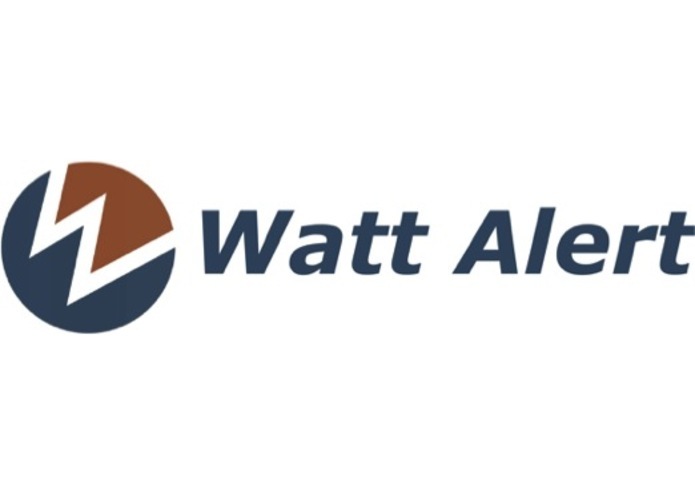 Watt Alert is a web application that puts you in control of your utility bill and energy usage. 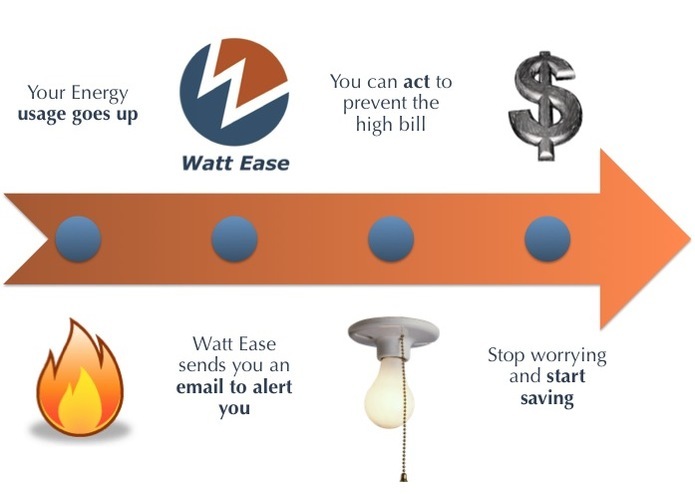 Every day, Watt Ease will analyze your energy usage information and provide timely insights to help you avoid high bills and identify new ways to save. 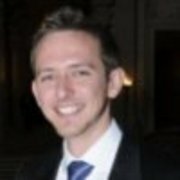 You will receive on average one email per month, only when Watt Ease detects specific patterns representative of a risk for a higher bill or of possible savings. 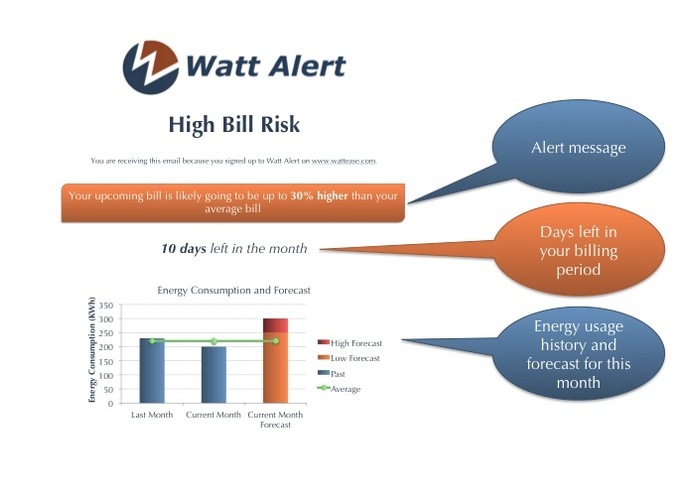 Current Features High Bill Alert: Forecasting your energy usage, Watt Alert will warn you of a the risk of a a higher than usual bill and give you recommendation on how to avoid it.